Sorry for the late update, as I've said in the guitar thread I've been unable to access a computer for the last week, so in order to make up for missing last week's post you guys get a double post! I have two companions to the orange Cutlass that was posted a few weeks ago, these were originally set up with Seymour Duncan's and were reverted back to our stock pups, and originally only featured one volume knob. They both feature roasted necks, but of different maple varieties. You can tell these apart from any other Cutlass by the black headstocks. Wow, thanks for sharing! These pictures are awesome. Love that black and green combo! 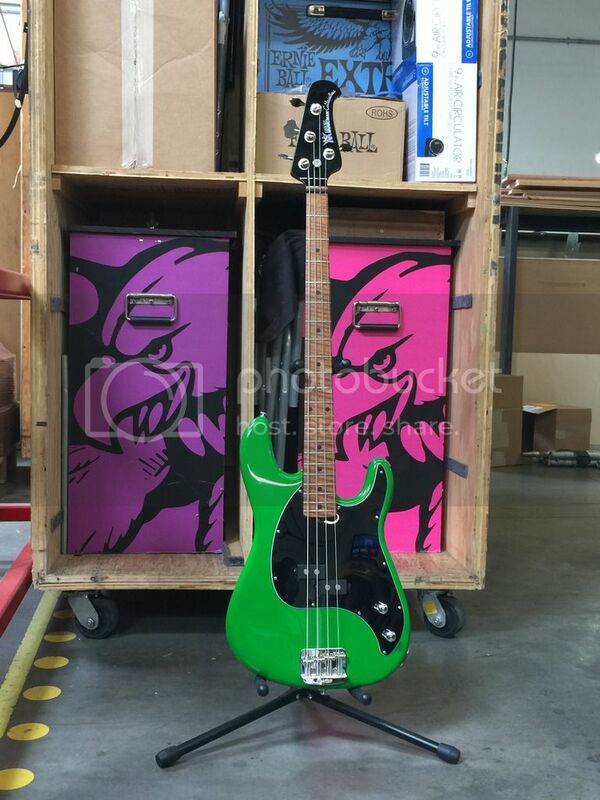 Too bad no one buys green basses... but me. Stunning! I love roasted Birdseye Maple necks. 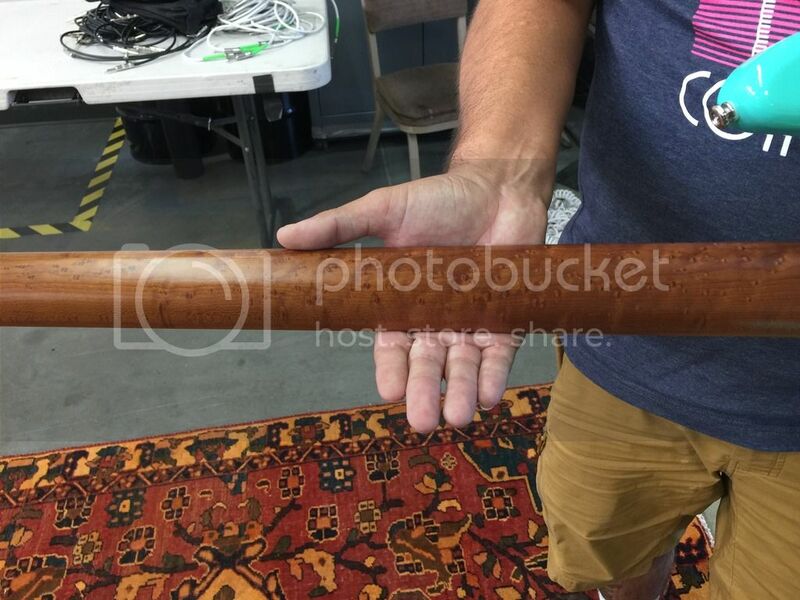 "White Cutlass Bass roasted neck"
Last edited by Bert; 07-22-2017 at 12:51 AM. I, predictably, am in love with the green one. 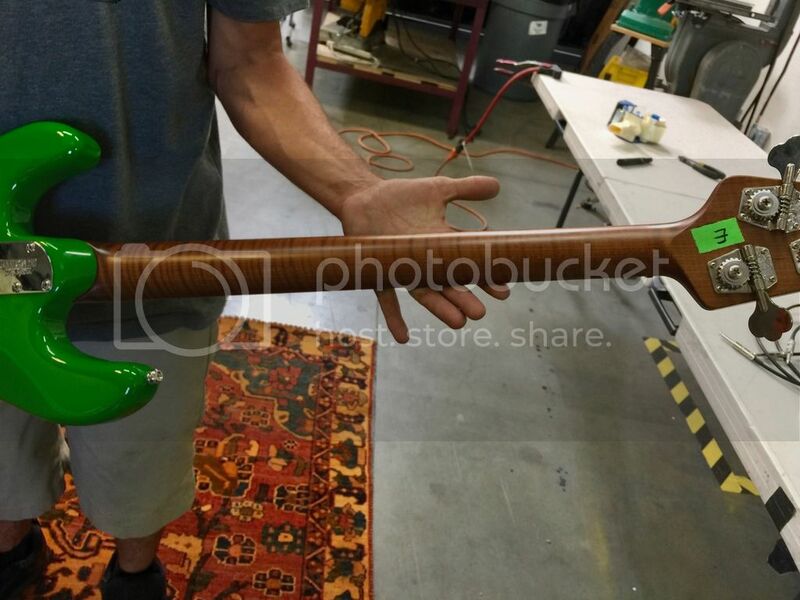 Of course, green basses don't sell, I know this now. I'm in love with it too. Actually, I'm in love with both. Taking the thread in a different direction today, this is NOT an EBMM product, but it is however part of the EBMM legacy. 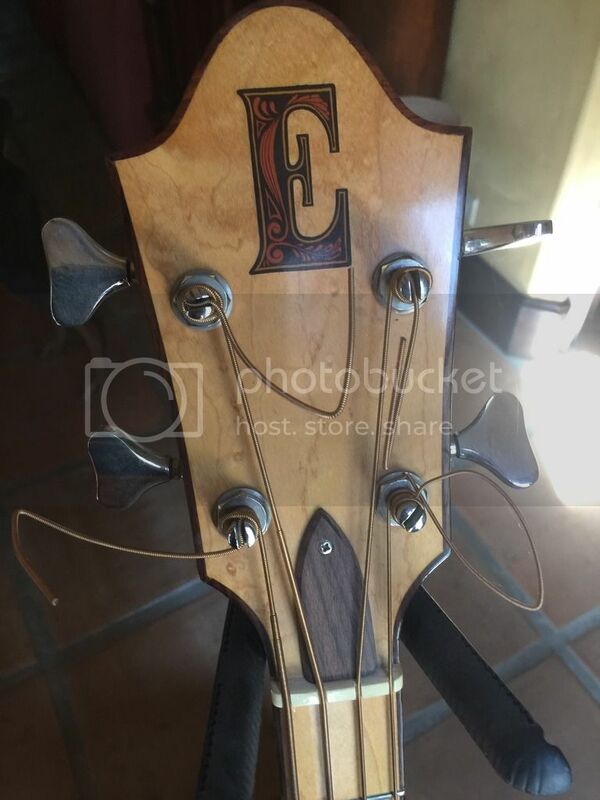 Earthwood basses have been highly sought after due to their relative rarity and deep resonant sound. 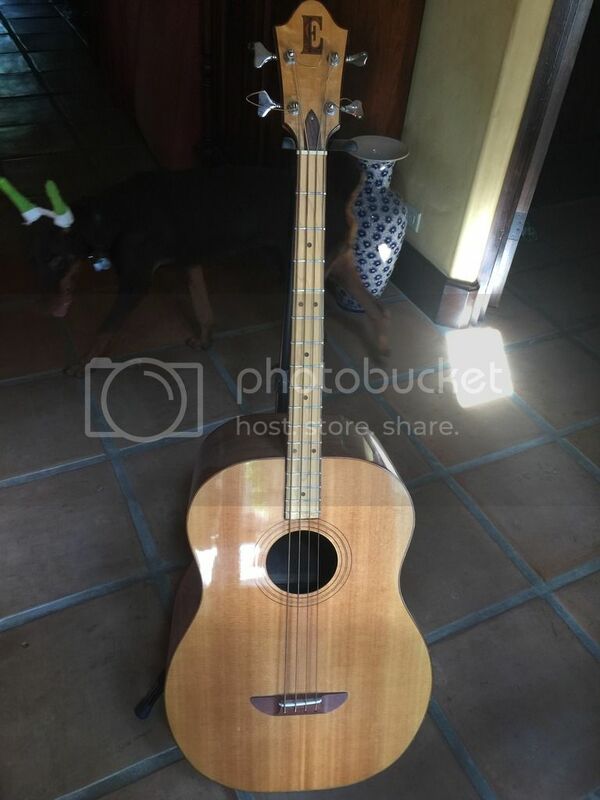 Here we have a gen 2, Dan Norton refined the original design that was made by Ernie and George Fullerton, late of Fender. The Gen 2 features a narrower body, improved bridge and binding, and does not come equipped with a pick/tap guard. Looks great! Would love to see an anniversary release of those! 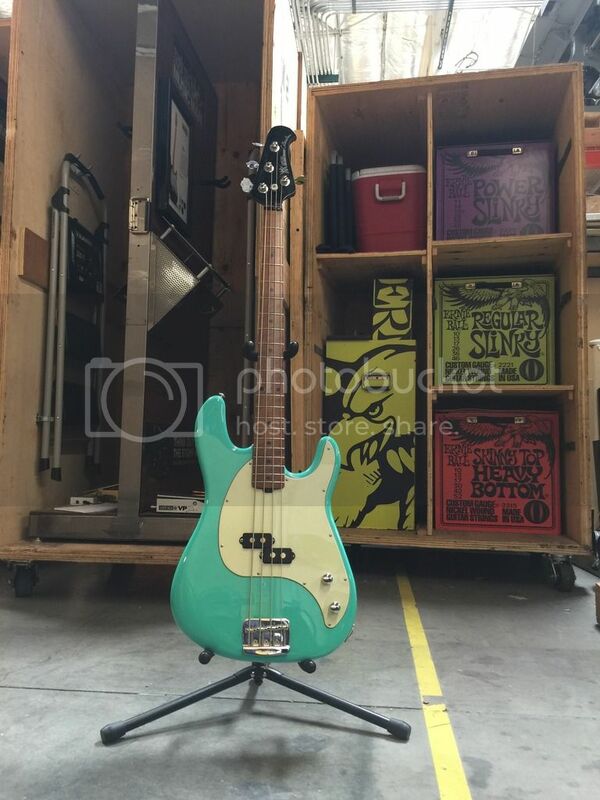 So are *all* the ones with the narrower/shallower body and no pickguard gen 2? Someone sprayed the entire inside of mine with some kind of pink textured coating, presumably to dampen resonance, so the label and serial # are unreadable. 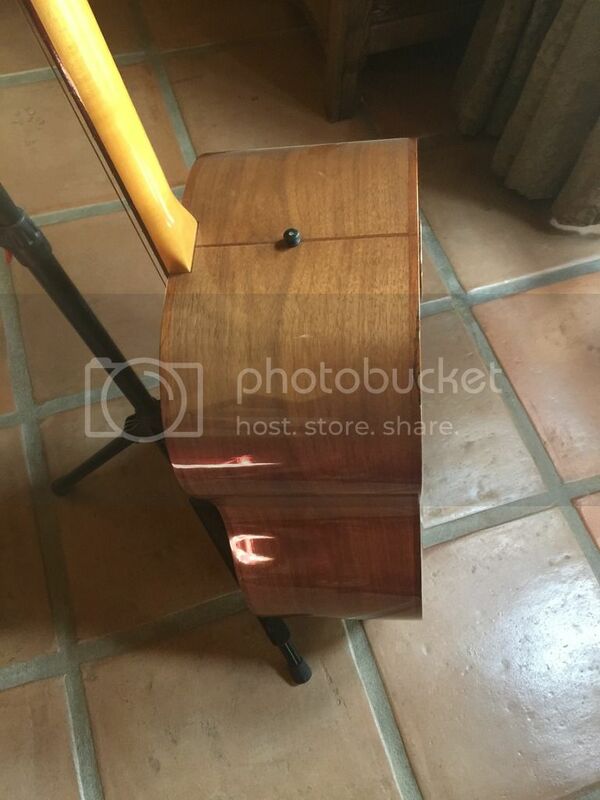 I have no idea what vintage it is. 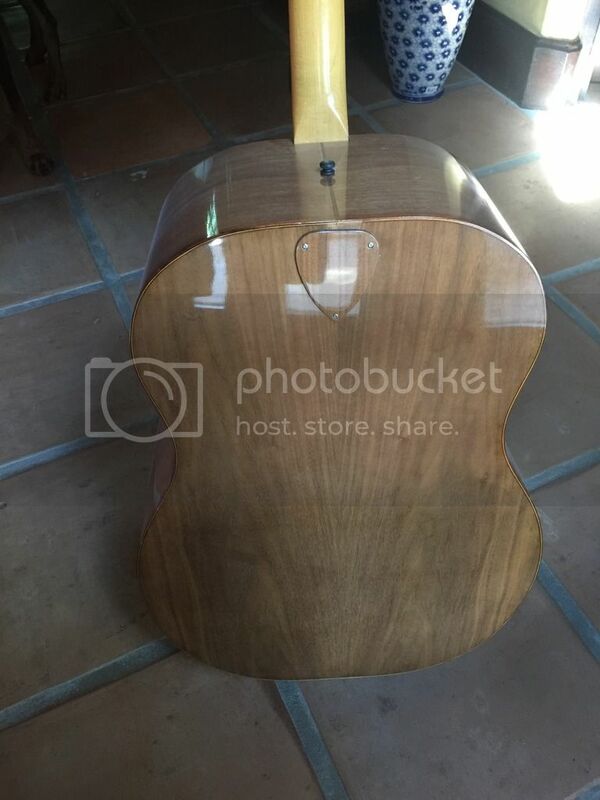 I also have a 6-string Earthwood guitar, #574, supposedly from '72. That one has all the binding and a dark wood pickguard.